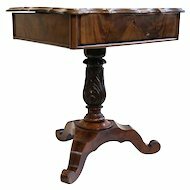 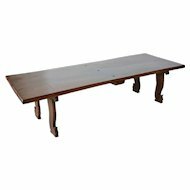 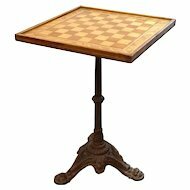 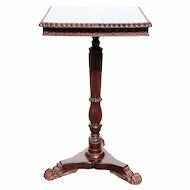 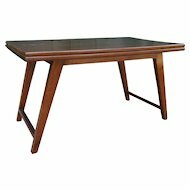 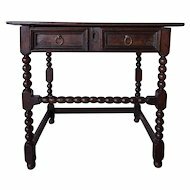 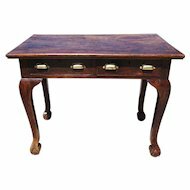 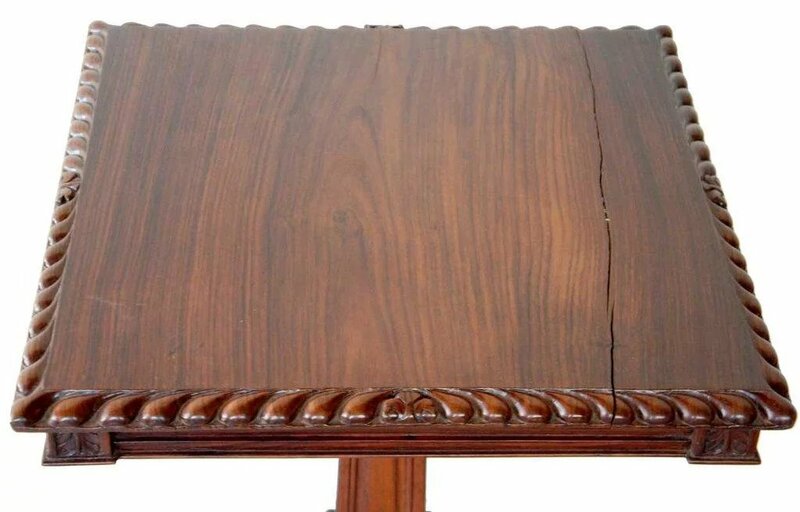 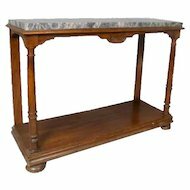 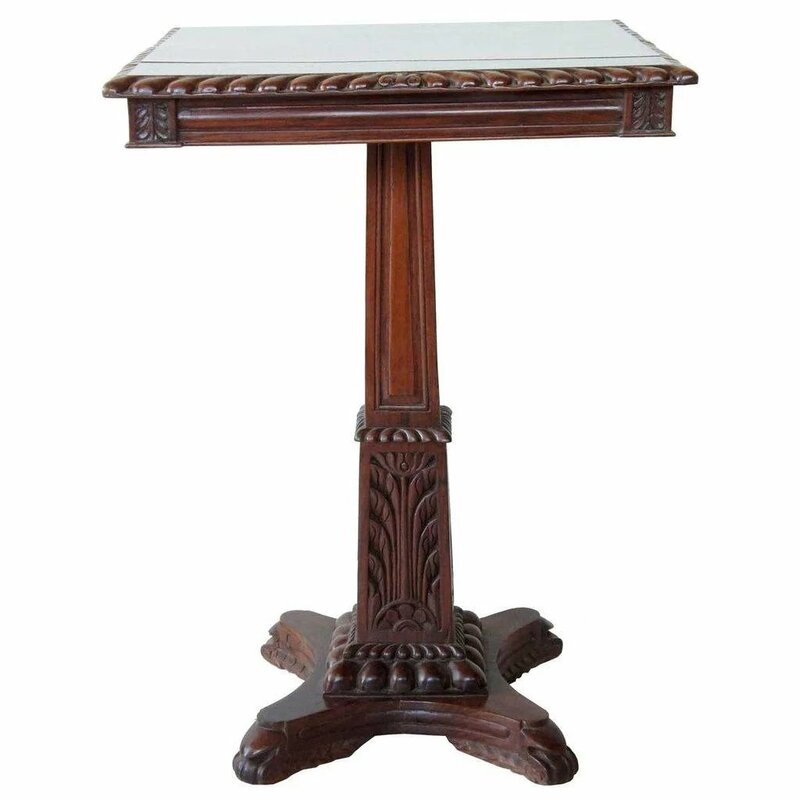 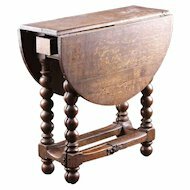 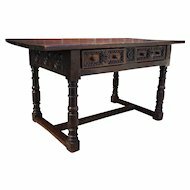 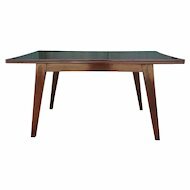 This antique rosewood table displays a gadroon edge with foliate blocks at the corners. 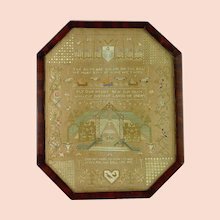 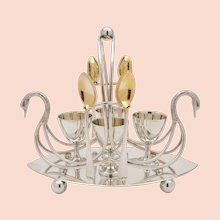 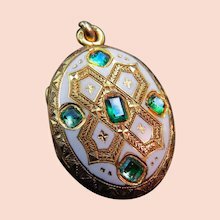 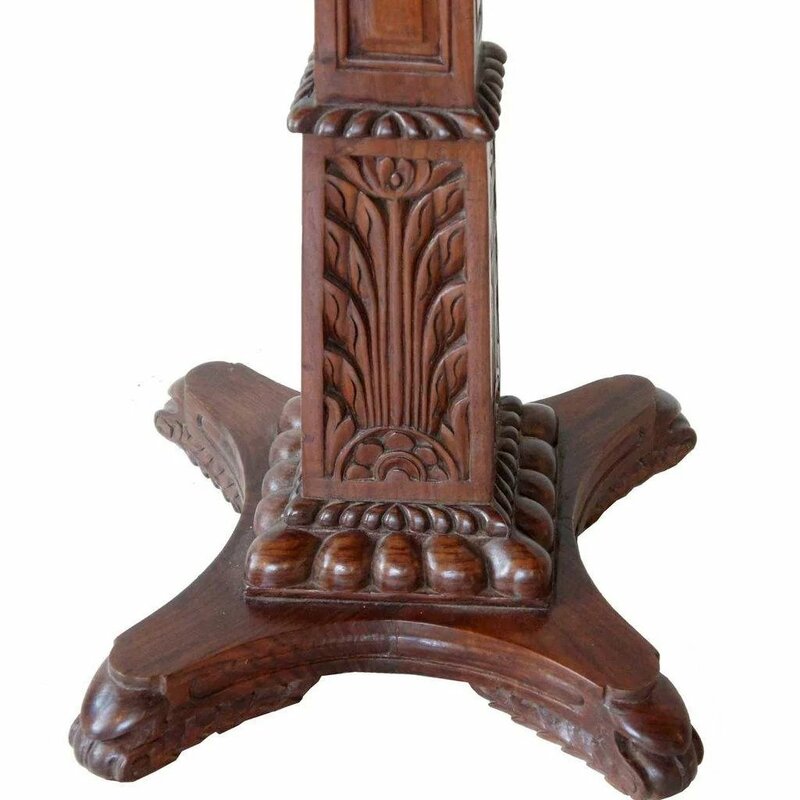 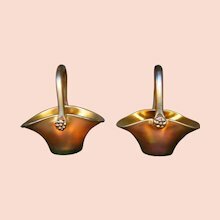 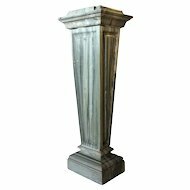 It sits atop a tapered, square pedestal with simple reserves on top of foliate carving, with beaded details at the bottom. 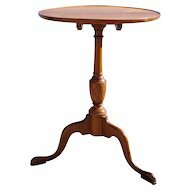 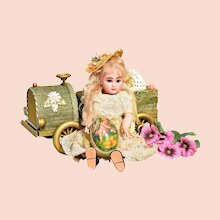 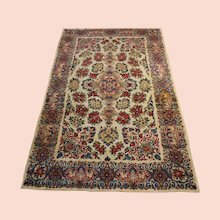 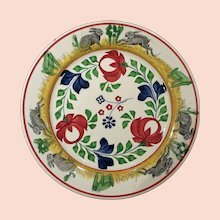 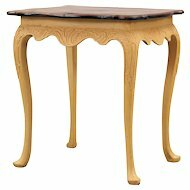 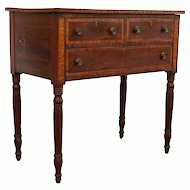 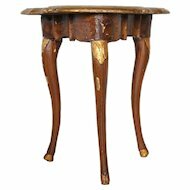 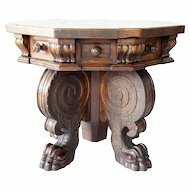 The piece terminates on a quadriform base with carved details on the feet. 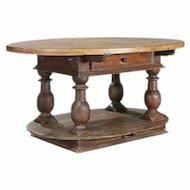 It makes a very versatile little table. 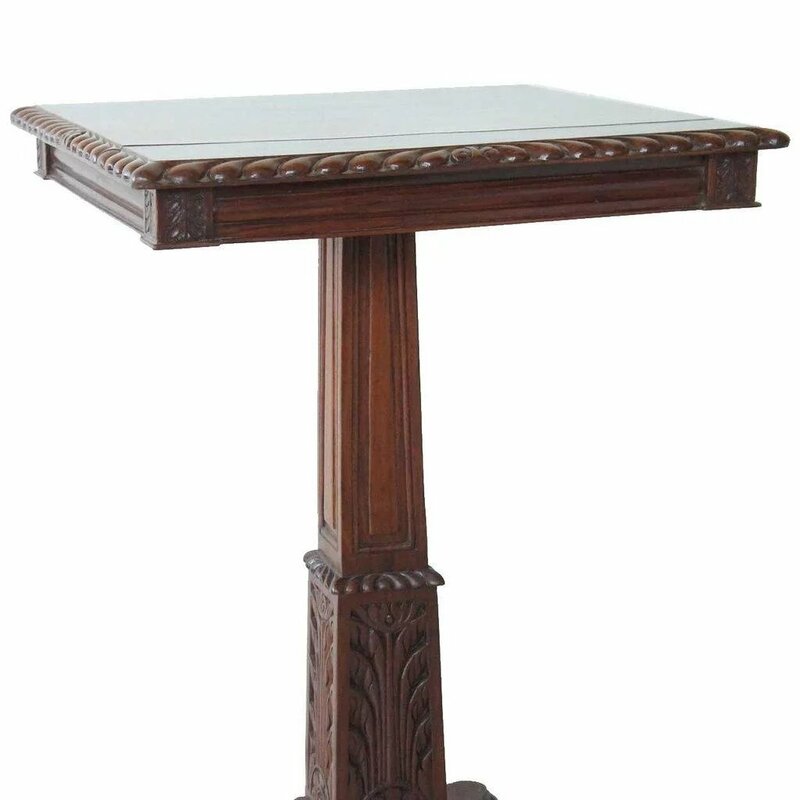 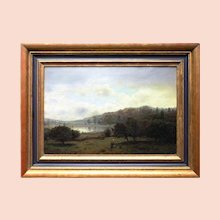 Width 21 Depth 21 Height 29 in.